Despite national statistics revealing that a large number of American adults consume local news through their mobile phones, members of the Elon University community tend to receive news and information from news websites or the paper they receive at their homes each morning. However, if local newspapers decided to charge for online news consumption in order to survive, some community members would be willing to pay for online subscriptions. 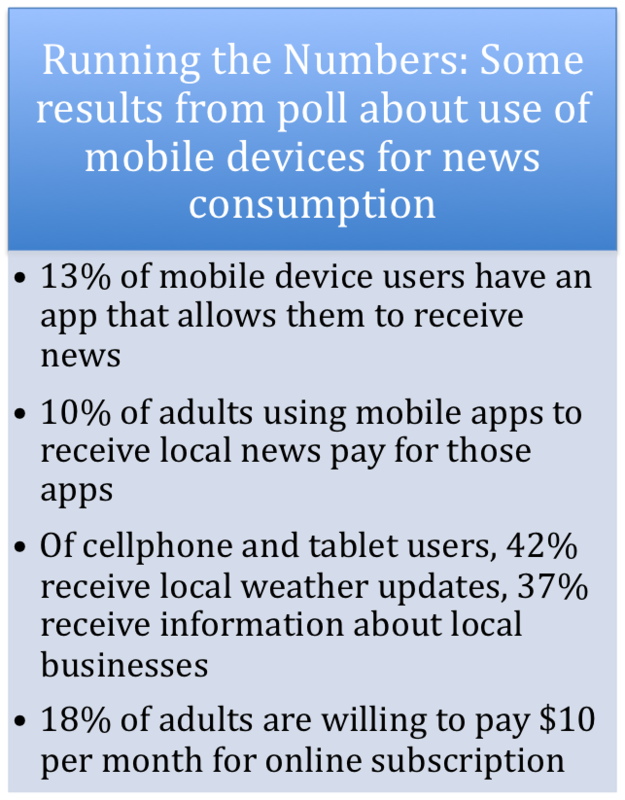 According to a survey completely by the Pew Research Center’s Project for Excellence in Journalism, nearly half of American adults (47%) receive local news on mobile devices, with practicality the main reason for doing so. However, Janet Cooper, manager of Elon’s Phoenix Card office, maintains that reading a newspaper is part of a routine she will not give up. “I’m more of a newspaper person. If I don’t start my morning with my coffee and newspaper,” she said, the Burlington Times-News her news source of choice. “I like reading my paper.” In fact, Cooper only turns to online news sites if a major story is taking place. Although subscriptions can be expensive, Cooper is willing to make the sacrifice, placing her in the 36 percent of the adults that pay for some form of news consumption, according to the survey. However, some individuals simply turn to free news sites in order to receive their information. Several Elon students, including junior Lauren Moehlman, do just that. “It’s convenient, and I spend a lot of time on my computer throughout the day,” she said, citing that the amount of information available and the fact that it’s easily accessible contribute to her use of online news sites. Kathy Scarborough, manager of the Elon University bookstore, has experienced the impact of American’s increased reliance on technology. The bookstore now provides more books online and opportunities to read and highlights textbooks that can be purchased by students online. She feels that newspapers will need to continue to appeal to people online, possible charging consumers for the information. Willingham would be willing to pay as well, but for him, paying by the article, and having control over which articles he would like to read, would be much more convenient. However, paying for news on his mobile device would not be ideal. A transition to mobile news, from tablets to mobile phones, may be coming in the near future, but for some in the Elon community, free news sites is the source of information. For more information about the survey and to view a complete view of the results, visit the release by the Project for Excellence in Journalism.